SOUTHINGTON – The Southington-Cheshire Community YMCA has hired Jay Jaronko as the new Southington Branch Executive Director. 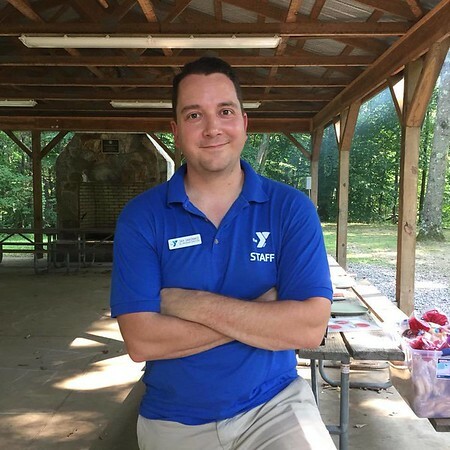 Mark Pooler, CEO of the local Y, said that Jaronko, who will begin his position Feb. 25, is “no stranger to the YMCA family.” He began his career at the Southington YMCA as a camp staff member at YMCA Camp Sloper in 2004. He then became the Youth Program Director in 2007 and was the Outdoor Center Program Director from 2011 to 2013. Pooler said Jaronko has spent the last six years developing his leadership skills at the Westport-Weston YMCA, where he was the senior program director. Pooler added that Jaronko is a Southington native, a graduate of Southington High School, and graduated from UConn with a degree in history in 2007. Jaronko currently lives in Newtown with his wife Tina and their son Thomas who turns 3 years old in February. Jaronko said that he is excited for the opportunity and to return to his hometown. Jaronko’s professional YMCA involvement includes serving as a past youth and teen day camp chair, a member of the YMCA Professional Network, and a past treasurer, vice chair and chair of the CT YMCA Network. He is expected to complete his certification with the Executive Preparatory Institute in May 2019. Jaronko’s community involvement has included being a member of Westport Sunrise Rotary, serving on the membership and program committee for the Newtown Community Center, being vice president of the board for Westport Police Athletic League Basketball, serving on the Westport Weston Wilton Hands for Life planning committee and being a part of the “Team Brent/St. Baldrick Head Shaving Event” planning committee. In his personal life, Jaronko enjoys spending time with his wife and son at the pool, library or park. He runs three to five miles almost every day. His favorite sports teams are the New York Yankees, the New York Giants and UConn Basketball. He is currently reading the Game of Thrones series and Ron Chernow’s Alexander Hamilton biography. Posted in The Bristol Press, Southington Herald on Thursday, 31 January 2019 19:42. Updated: Thursday, 31 January 2019 19:44.